The Clear Creek schools got high marks in the annual ranking of Houston area schools by Children at Risk with two campuses – Clear Horizons Early College High School and Clear Lake High — among the top ten for the entire Houston area. Both were given an A+. The nonprofit grades Houston area public schools each year, basing its rankings primarily on test scores in reading and math. Almost all high schools did quite well with all CCISD campuses getting A’s except one. 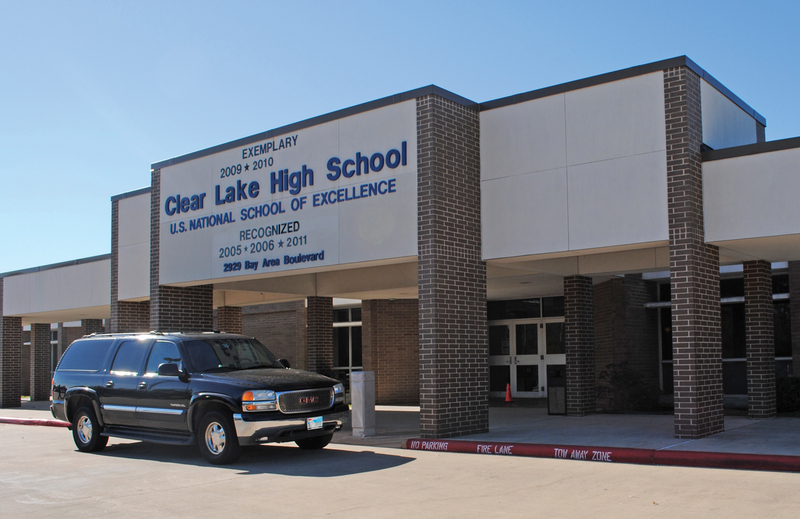 Clear View High, which is a charter school for at-risk students, did not fare well, earning an F.
Most Clear Creek middle schools earned A’s with Clear Lake, Clear Creek and Brookside Intermediate getting B’s. At the elementary level 15 CCISD schools were given A’s – Brookwood, North Pointe, Robinson, Ferguson, Landolt, Clear Lake City, Ed White, Mossman, Bauerschlag, Stewart, Falcon Pass, Gilmore, Weber, Greene and Walter Hall — while Bay, Goforth, Hyde, Ward, Parr, Armand Bayou and League City earned B’s. McWhirter and Wedgewood were given C’s and Ross and Whitcomb got D’s. Most of the lower scores came in areas populated with apartments and students just learning English. Friendswood and Pearland School Districts also did quite well with all of their schools scoring A’s and B’s. Friendswood High also earned an A, as did Dawson High in Pearland, while Pearland High was given a B. All elementary and middle schools also earned A’s and B’s. Schools to the south of the Clear Lake area did not fare well. While Dickinson High earned a C, the high schools in Galveston and La Marque both received F’s and Texas City and Santa Fe were given D’s. Both Deer Park High and Pasadena Memorial received B’s while Dobie and South Houston earned C’s and Pasadena High and Sam Rayburn were given D’s.